St. Patrick’s Day is right around the corner, so it’s time to add a little green to the decor. I have some Murphy in my background which might make it required. This project adds just a touch of St. Pat’s whimsey without being over the top with leprechauns and pots of gold. 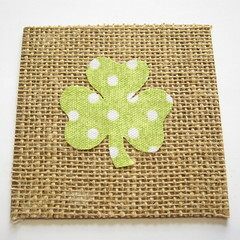 You can really have fun with the shamrocks using different green and patterned fabrics. I love these scrappy projects that let you use up those odds and ends cluttering up the craft room. I used fabric because I have quite a stash of it, but you could also use pretty scrapbook papers if you have them on hand. The background also doesn’t have to be burlap, I just happened to have a lot of it lying around. I do think a colored background looks nicer than white though. It warms up the project more than a white background would. 1. 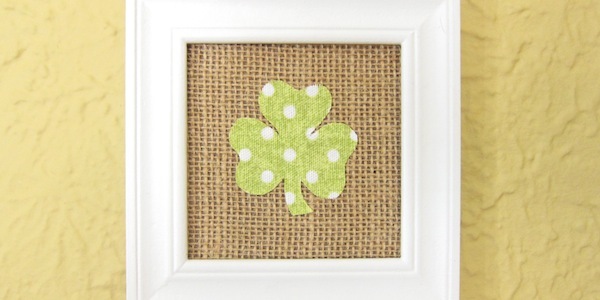 Draw or find a shamrock shape on the internet that is an appropriate size to fit in your frames. I used this shamrock from About. Mine were a little over 2″ tall and wide and I printed out three of them. 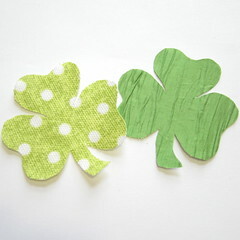 Use the pattern to cut shamrocks from three different fabrics. I used a polka dot canvas, a textured green silk and some felt. On the canvas I used a little fray stop to keep the edges from fraying. 2. Remove the back from one of your frames. Cut a piece of burlap out that is slightly bigger than that back piece. Glue the burlap onto the frame back making sure the weave is straight. I used Elmer’s for this. 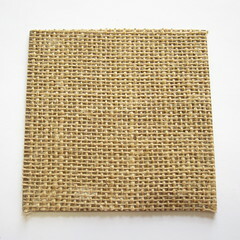 Cut the excess burlap. Repeat for all three frames. 3. 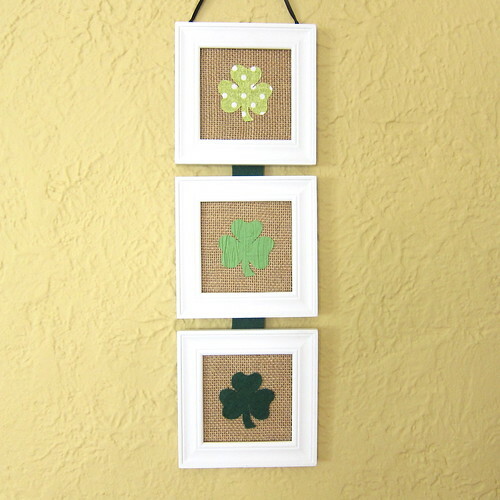 Glue a shamrock in the center on top of the burlap for each frame. Once again I just used Elmer’s. 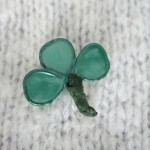 A small paintbrush is helpful getting the glue evenly on the back of the shamrocks and to the edges. With the silk I was afraid the glue would stain it or change the color, so I used some glue stick to adhere it to the paper pattern and glued the pattern to the burlap. 4. 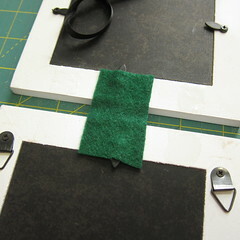 I used 1″ strips of the dark green felt to attach the frames together so they would hang as one piece. You can also use ribbon or fabric for this step. I centered a piece of the felt on the bottom of on frame and super glued it in place. 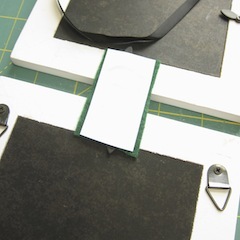 I then super glued the same piece of felt to the center of the top of the next frame, leaving about a 1/2″ gap. Repeat to join the third frame. I was a little afraid the felt would stretch with the weight of the frames so I glued paper to the back of the strips too. I would skip that step if I had used ribbon. 5. Put the shamrock inserts and glass back in the frames. Hang and enjoy. How all I need is some corned beef and mashed potatoes! 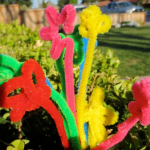 6 years ago by Kat in Craft Projects , Crafts , Holiday , Projects , St. Patrick's Day | You can follow any responses to this entry through the RSS feed. You can leave a response, or trackback from your own site. I love how your whole family decorates for ALL of the holidays. What a simple and easy way to pay homage to the different holidays. Well done.